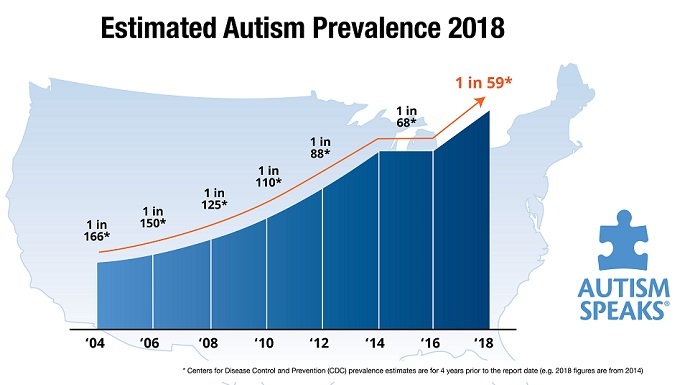 Before I settle back down to work on this month’s major feature, Stem Cell Therapies for ASD, I am posting this addendum to my April blog about autism awareness. I wish to comment on the April Issue of the AAP news. The lead piece was entitled, ‘If not vaccination, then what?’ The second headline was, ‘How to end physician-patient relationship legally’. In the first article, a respected University of Alabama professor, Dr. David Kimberlin, presented the beneficial outcomes that childhood vaccinations have yielded. He detailed the reduction in childhood deaths before the age of 5, improved health for all, and the proven stuff that the present schedule is perfectly safe for everyone. Oh, that’s right, he didn’t mention the fear of high fevers, seizures, diarrhea, or the specter of autism. As I have written previously, I am old enough (63) to have had a childhood friend with paralysis from polio. I had an uncle who was blinded by measles as a child. And, as I practitioner, I experienced babies suffering the ravages of congenital rubella. I’m not sure what part of the membership Dr. K was addressing in the article, but it wasn’t me. Was he giving younger doctors more verbal ammunition? It would probably be a good idea for the practitioner to be able to answer those additional questions, as well. In fact, the magazine never said a word about Autism Awareness Month, or even autism for that matter. This is in the same month when the CDC has pronounced that 1/88 children suffer from the disorder. There is this disconnect between what my Society is espousing and what my patients are experiencing. If there is an autism activist on the Editorial Board, it wasn’t evident. Apparently, April is also ‘Child Abuse Prevention Month’. I know this because there was an entire page devoted to that tragedy. Perhaps, I’m the only one to see a conspiracy here; one article was about vaccine efficacy and the other about how to fire your patients. Who could they be talking about, huh? Confusion is being fueled by the dogma in the conventional medicine community. There must be some common ground where we all can meet to 1) help patients feel confident that the doctors understand what it is like to be a parent in today’s world and 2) have physicians who respect that modern parents are reading the Internet and are better educated than ever before. In the first post on this topic I was concerned that ‘awareness’ wasn’t enough. Certainly, for the AAP, it would be a start. Got that off my chest. This entry was posted on Sunday, April 8th, 2012 at 11:13 am	and is filed under >ALL<, Alternative and Complementary Medicine for ASD, News-Maybe-Worthy, Patient experiences. You can follow any responses to this entry through the RSS 2.0 feed. You can leave a response, or trackback from your own site. Wow, it is sad how so many doctors are looking for the benefit of the drug companies over their patients. I think our previous ped would have fired us because of our resistance with the shots and unfortunately we didn’t resist enough. Maybe if we had not given in to her demands we wouldn’t be in this situation today. We fired her though and then she put up a fight to release our kids’ files. And there it was, we needed no more reassurance that we made the right move.